TBF is the best of both worlds as the brand features a chameleon concept. 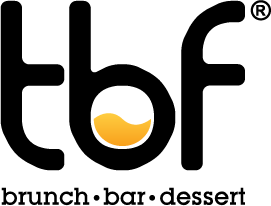 For brunch and coffee lovers, TBF is a place to enjoy crafted coffees and western cuisine. When the sun sets, get ready to unwind and have fun as TBF turns into a casual bar setting. Enjoy our wide selection of drinks and tapas while the DJ kick starts the night! Blok A, Unit 10 & 11, Ground Floor, Sunway Giza, Jalan PJU 5/14, Kota Damansara, 47810 Petaling Jaya, Selangor. B-11-G, Blok B, Setiawalk, Persiaran Wawasan, Bandar Puchong Jaya,47170 Puchong, Selangor.